Google announced their new mobile eCommerce solution, Google Wallet, today. Google Wallet will allow consumers to store credit card information securely in their phones to make purchases. Customers can now more efficiently use coupons and offers from Google paid and local search in the checkout process, as the coupons will automatically sync to the customers Google Wallet. 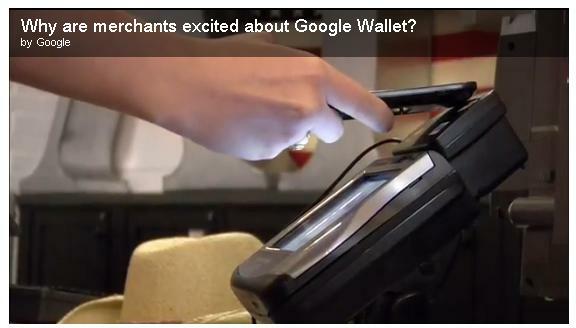 The image below from Google’s blog post, shows how a transaction can be completed with Google Wallet. Does anyone have a Nexus S 4G phone and a Citi MasterCard? That is the question.